New York, November 11, 2013, 5:42 am -- /EPR NETWORK/ -- Several years ago, a creative team led by Riviere, produced a Holiday CD which features his 10-minute version of A Christmas Carol titled Old Mr. Scrooge. Other stories include A Kwanzaa Story, The Armadillo's Feliz Navidad and The Hanukkah Candles as well as classics like The Elves and The Shoemaker and The Dwarf and The Cobbler's Sons. The team also recorded several classic carols and a �participation story� titled On A Winter's Day that includes a warm-up. �We believe the CD will be a wonderful gift for children but also a creative tool for teachers in Elementary Schools to introduce, in a fun, imaginative and interactive way, holiday stories from other cultures and classic stories that have begun to slip away from our modern-day celebrations,� Riviere pointed out. 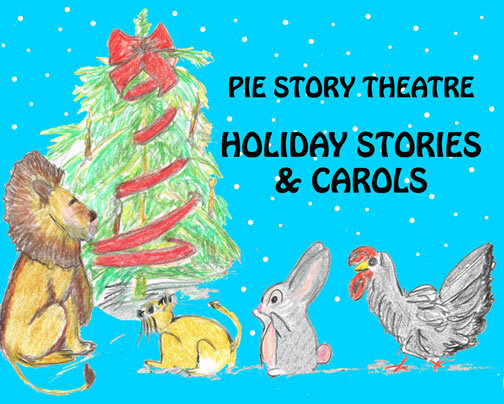 The CD, entitled PIE Story Theatre Holiday Stories & Carols is available for download from CD Baby (http://www.cdbaby.com/cd/pieholidaystoriesandcaro) or on iTunes, Amazon and other online sources. �It's been a labor of love and a long time coming but I believe adults and children alike are going to love it!� Riviere said. The artists involved with this CD were actor/voiceover artists Melissa Center, Kellie Johnson, Michael Menger, Babs Smith and Riviere. Riviere adapted and wrote a majority of the stories (including Old Mr. Scrooge which was published through Lulu Press) but The PIE Troupe did collaborate on The Kwanzaa Story and The Armadillo's Feliz Navidad was written by renowned international artist, John Bellia. PIE (Projects In Education) Story Theatre was formed to be the Educational arm of The Emerging Artists Project in 1991 � a non-profit theater organization co-founded by Patrick Riviere. It is currently the educational initiative of All Seasons Theatre Company. PIE has an acclaimed and popular history reaching thousands of children and families with live programming in the New York tri-state area, Chicago and Los Angeles. Currently PIE has two active companies in Los Angeles and New York City and has plans to revive in Chicago and launch a Company in Boston.